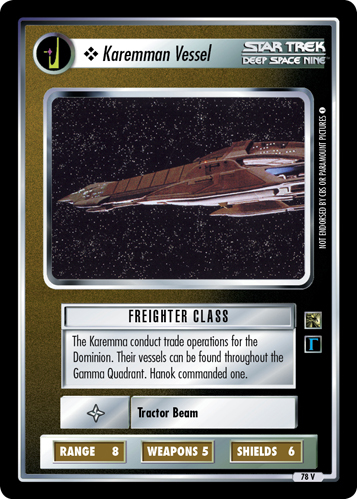 The Karemma conduct trade operations for the Dominion. Their vessels can be found throughout the Gamma Quadrant. Hanok commanded one.